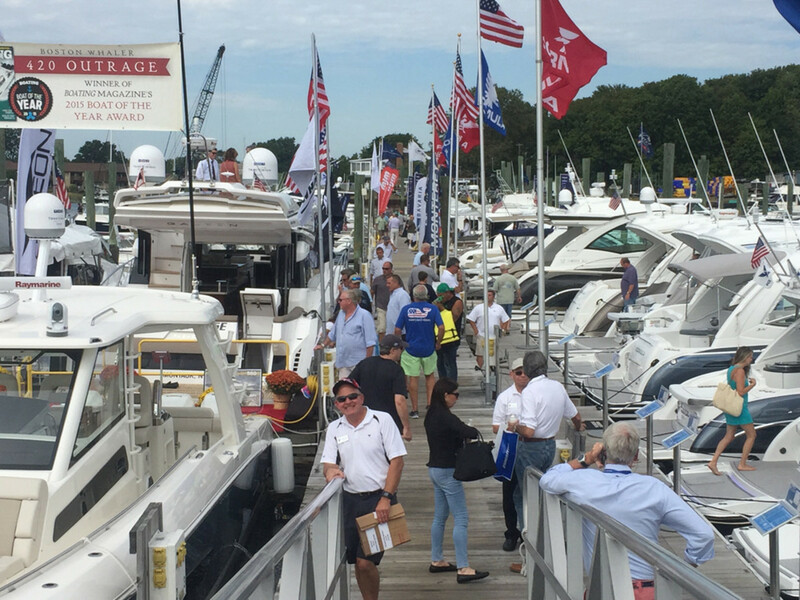 Though still not as large as it once was, many exhibitors said traffic was solid last weekend at the Progressive Norwalk Boat Show. 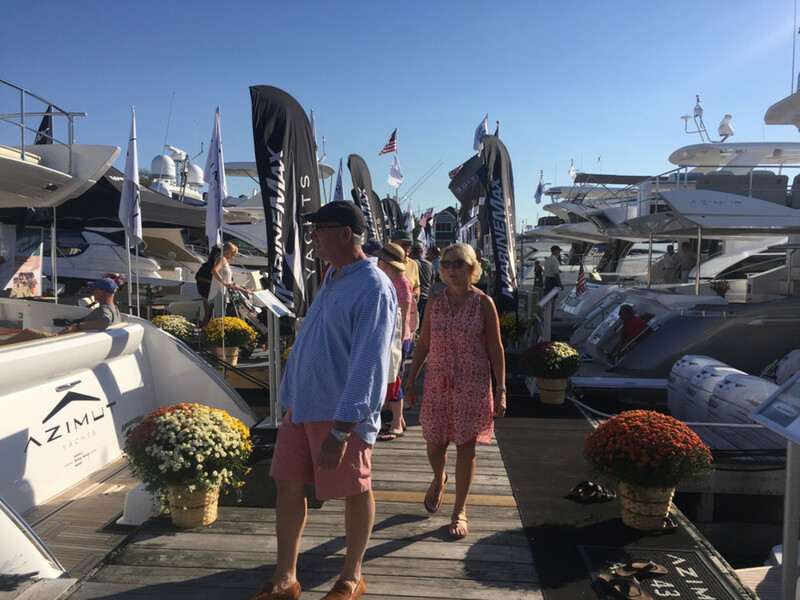 The Norwalk International Boat Show is still returning to its former size following the recession, but exhibitors at the show said buyers were out at the four-day show that ran Thursday through Sunday. Traffic on the docks at the in-water show was quite heavy on Friday and turned out current boat owners who were looking to trade up or accessorize their vessels. The “Queen of the Show,” brought by MarineMax, was a 66-foot Galeon making its Northeastern debut, which was already sold to owners who had taken ownership of the boat a few weeks earlier. Weather was gorgeous during the four-day show, with the initial heat of Thursday giving way to cooler, sunny fall days during the rest of the week, according to the National Manufacturers Association, which runs the show. 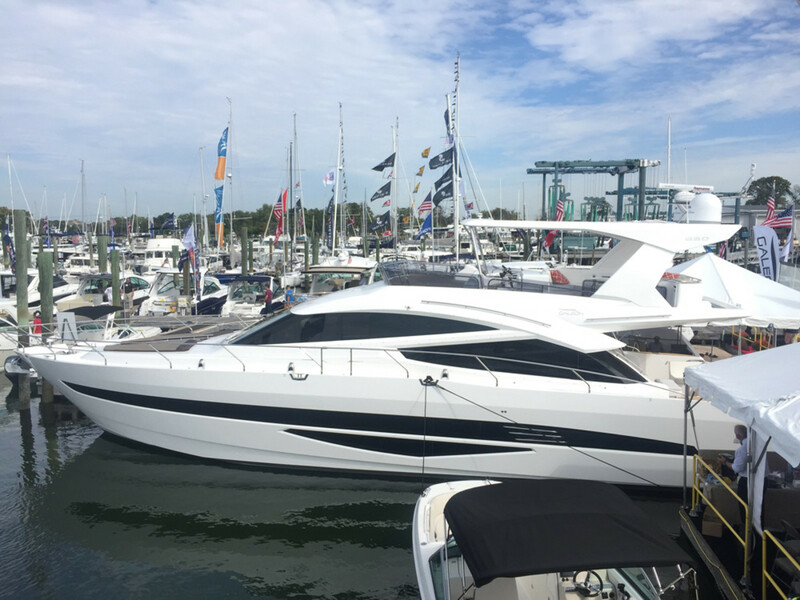 This 66-foot Galeon made a big impression on Norwalk Boat Show attendees — who commented on the fit, finish, appointments of the boat, and the price point of the Polish-built yacht. The Norwalk show has traditionally been an excellent show for the company, MarineMax Norwalk general manager David Dzurilla told Trade Only Today. Owner Mindy Guzzone said even though the brand was new to her and her husband, they have been loyal MarineMax customers and trusted them to stand behind the product. The craftsmanship and layout of the yacht sold her on the product, she said. Bob Stanton, who was checking out the 560 Galeon, said that his company, Performance AV & Security, was doing so well he had recently upsized from a 24-foot Maxum to a 40-foot Cruisers. It was an older model, but was refurbished in 2014, and he was at the show shopping accessories so he could continue the updates. Boston Whaler was also a busy section of the show, with 11 Whalers on display, said Will Rogers, who is head of sales for large Boston Whalers (boats with triple or quad engines). Traffic on the docks at Norwalk was solid as the weekend saw beautiful weather. Rogers said browsers had not only been qualified, they had also been very diverse. 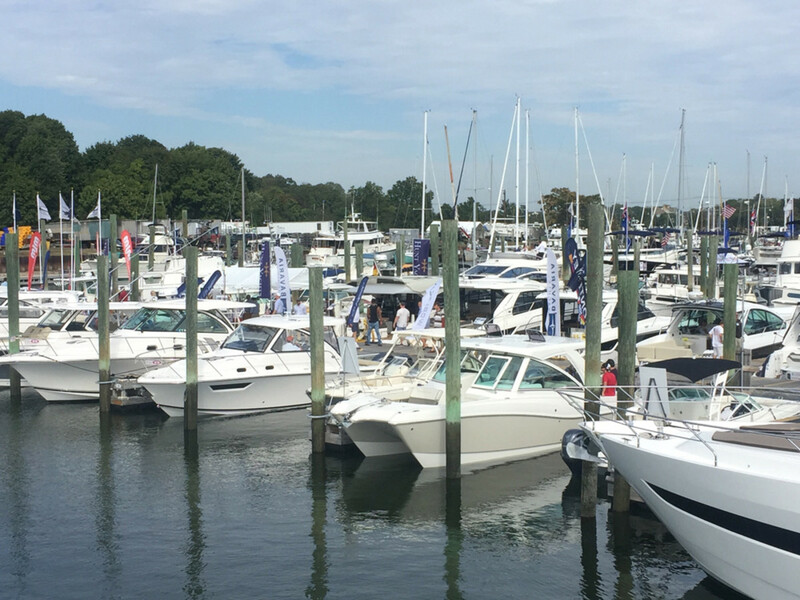 Sea Hunt Boats sales manager Johnny Craig said it was his first time attending the Norwalk show, and that he had been impressed by the quality of shopper. “The boats are versatile for a family lifestyle, that’s what we’ve always adhered to,” Craig said of the popular 18- to 30-foot vessels. Exhibitors said shoppers were “high quality” at the show that ran Thursday through Sunday in Connecticut. Bentley Collins of Sabre and Back Cove was taking two prospective Sabre buyers out that evening for sea trials. “It’s been a typical Norwalk show, which is to say, sparser traffic than we have at some shows, but always quality buyers,” Collins said. Read more about the Norwalk show in the November issue of Soundings Trade Only.